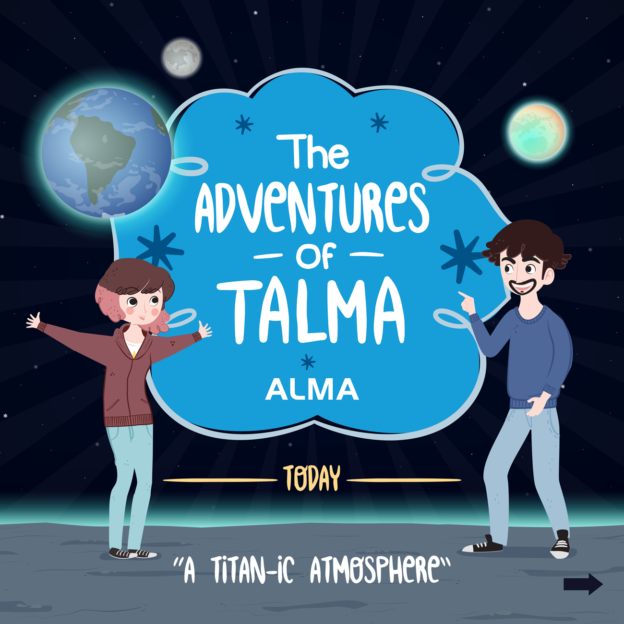 Follow ALMA’s discoveries along with Talma! 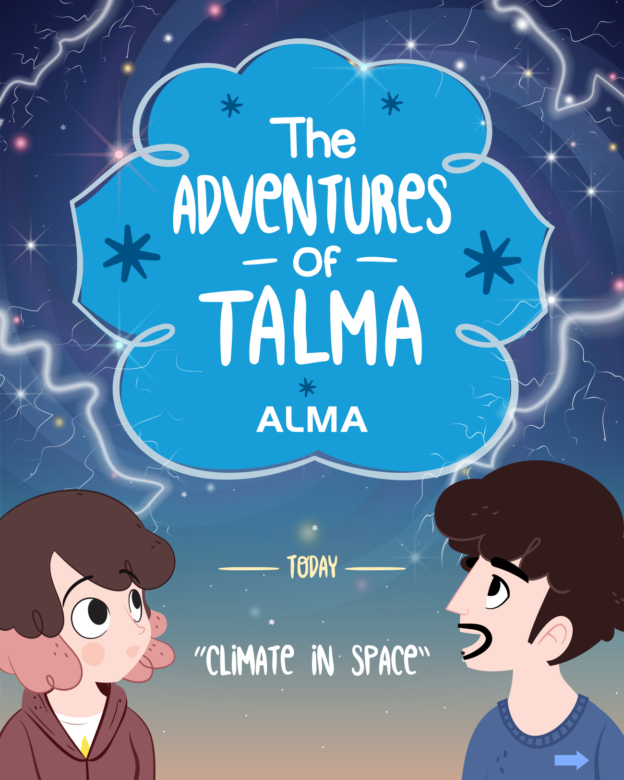 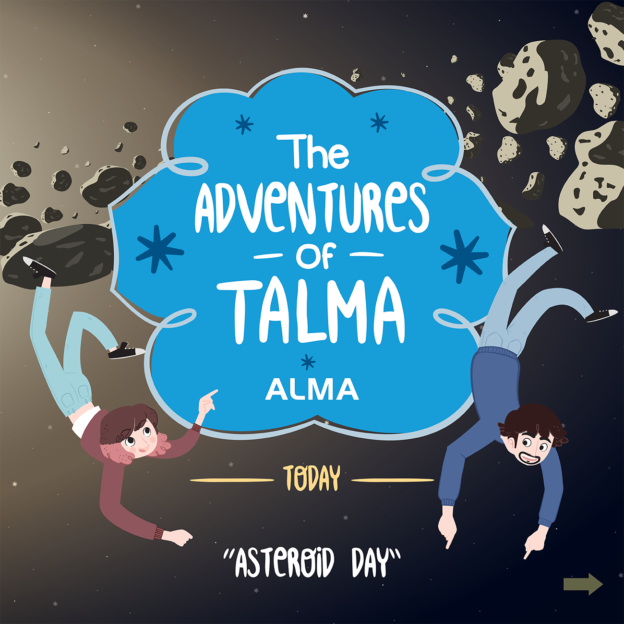 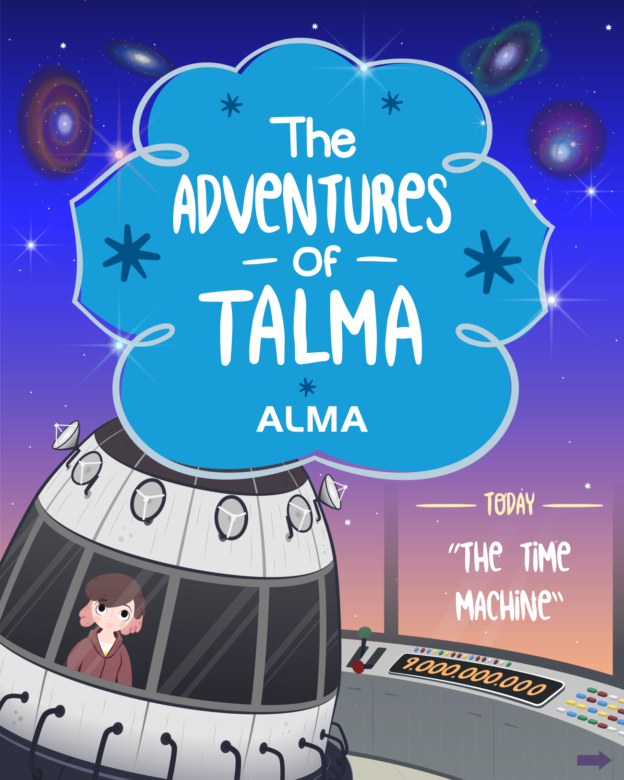 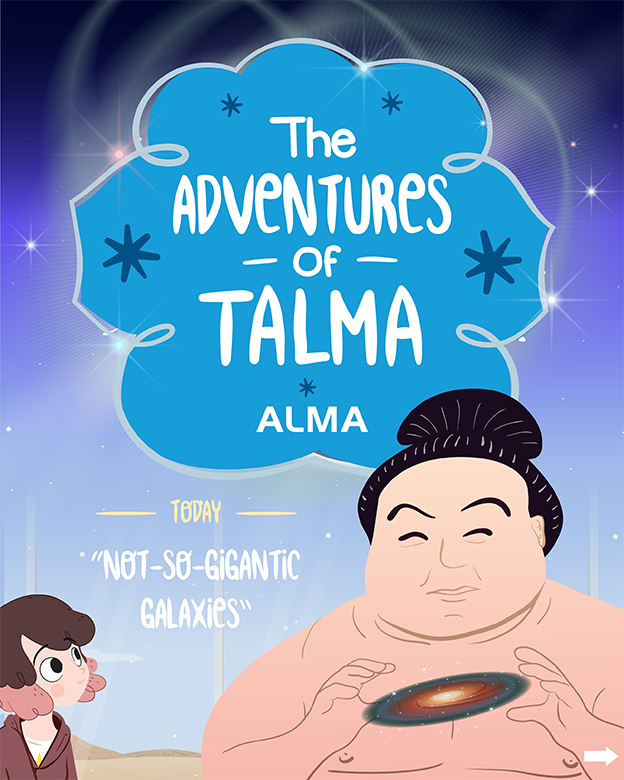 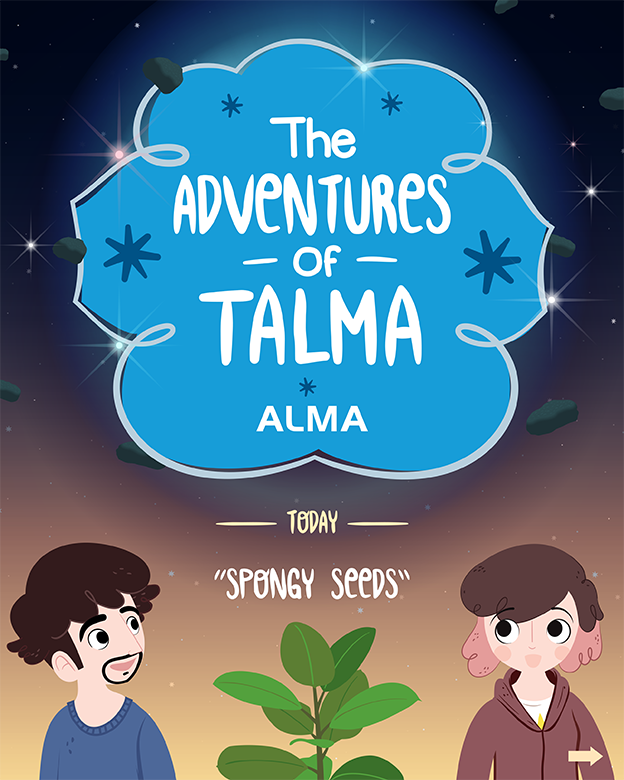 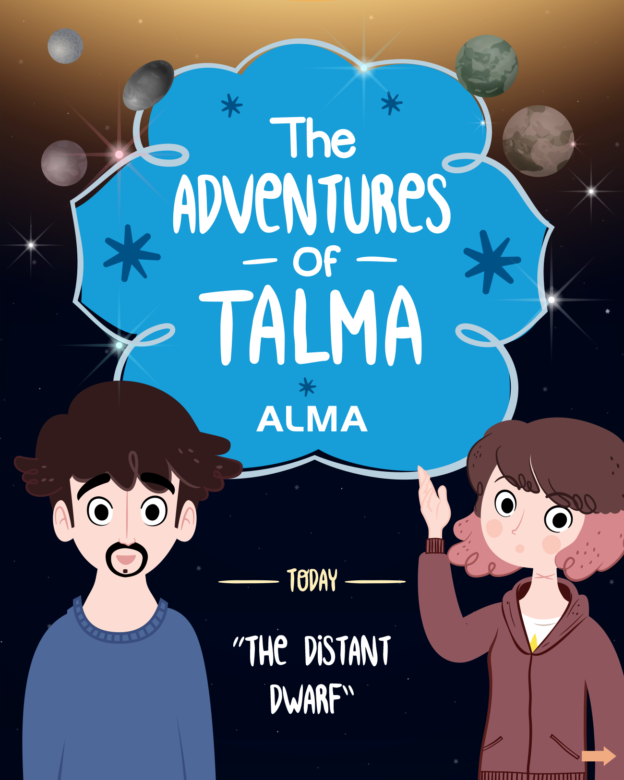 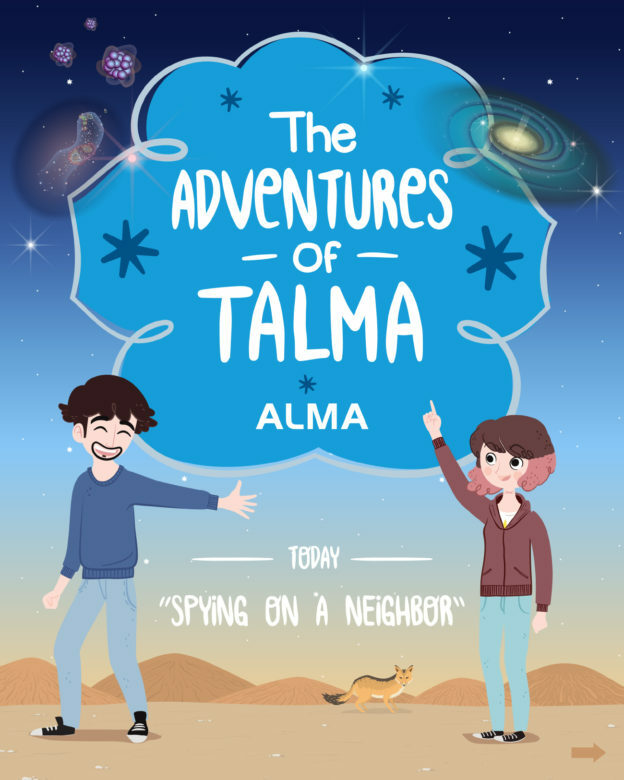 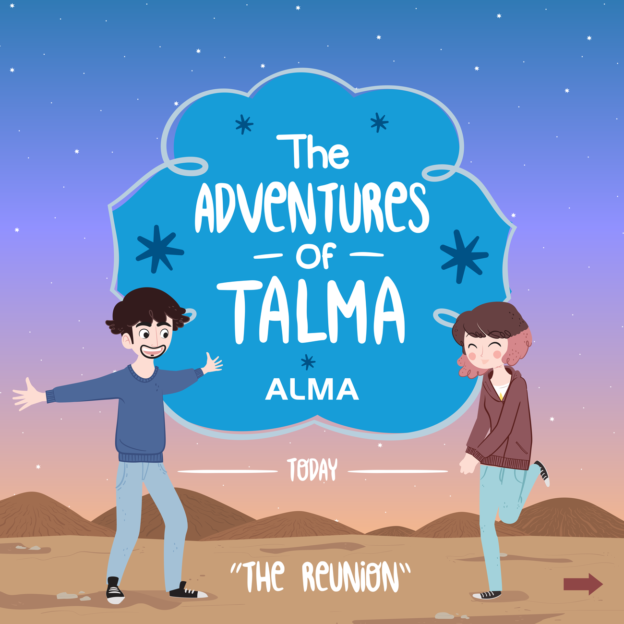 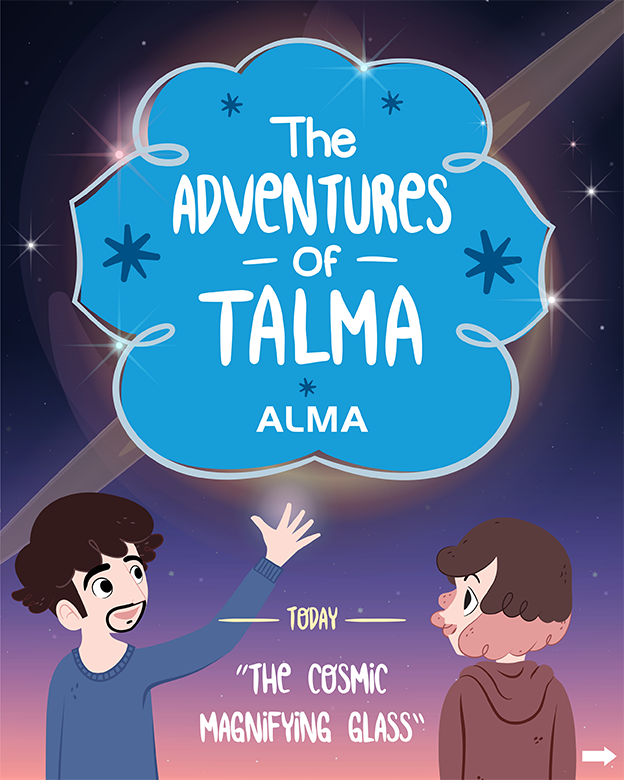 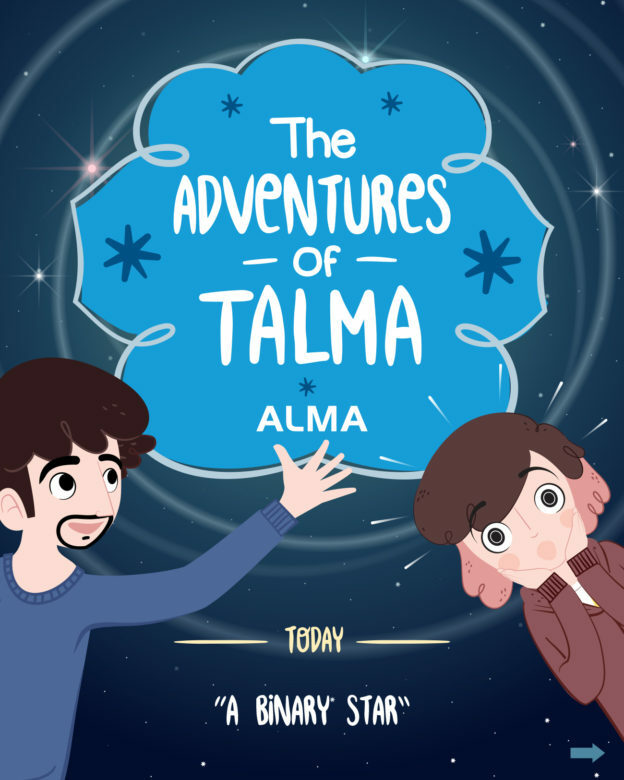 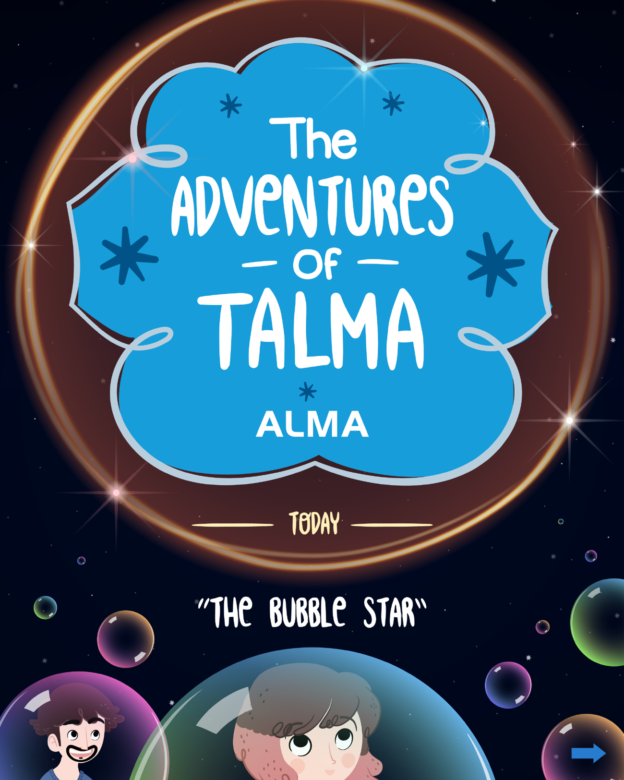 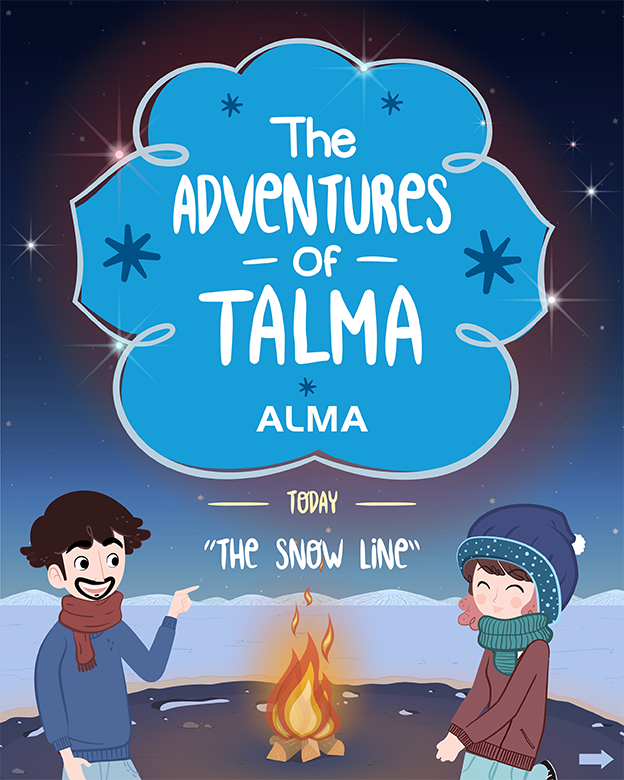 We have just launched a new series of chapters sharing the adventures of the stars of ALMA Kids: Talma and her astronomer friend Mathias, who will take you through the discoveries of the largest radio telescope in the world, with simple and entertaining explanations. 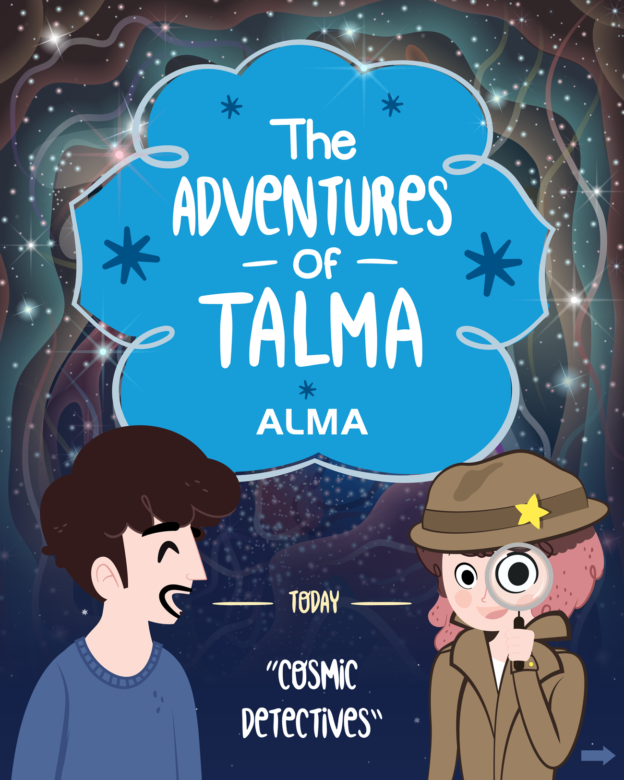 These new comics are the end product of David Fernández’ internship as audiovisual communicator, specializing in scripts, at UNIACC University. 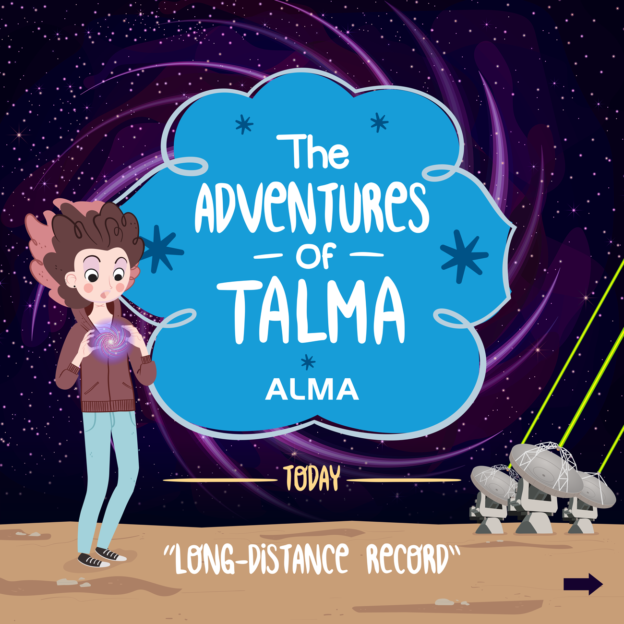 David, together with the observatory’s Communications and Outreach team, have breathed new life into Talma and her friends. 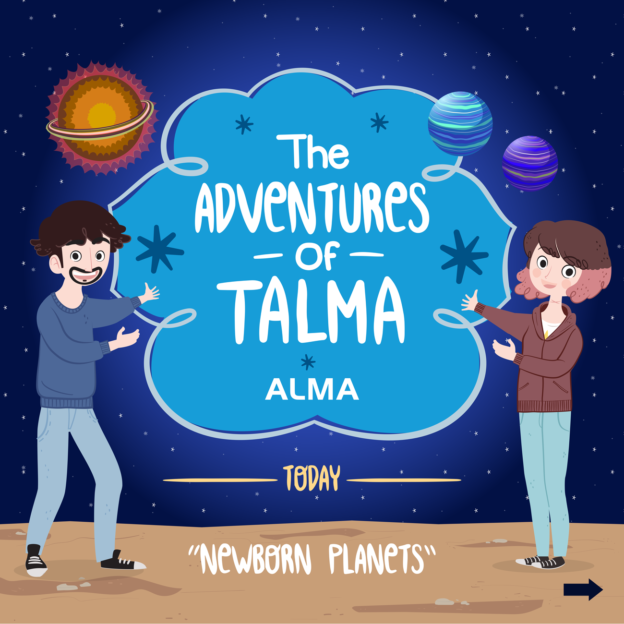 Be sure not to miss a single discovery by following them on our social media and our website for kids, kids.alma.cl! 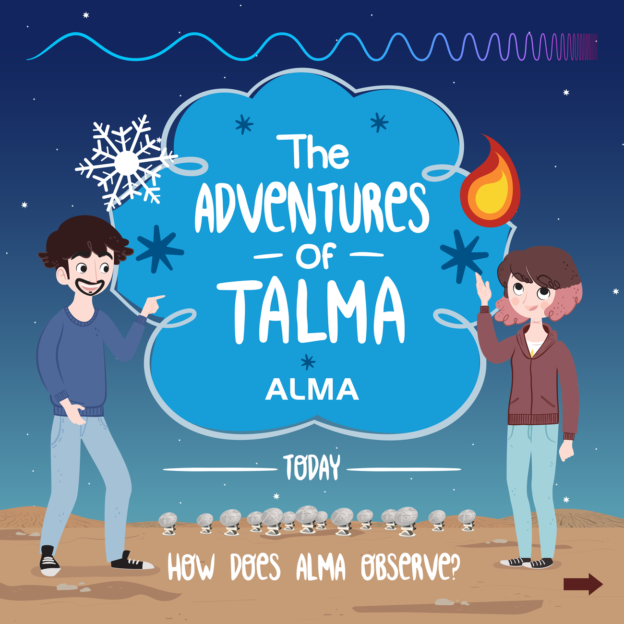 Chapter 4: How Does ALMA Observe?